• The NW is designed to be installed in fiberglass or plywood. • The NW does not have a grip range so it works well in variable thickness medium density materials. • The NW can be installed with the spin-spin tool and can be installed in variable thickness materials. • The NW is available in open end in steel and brass. 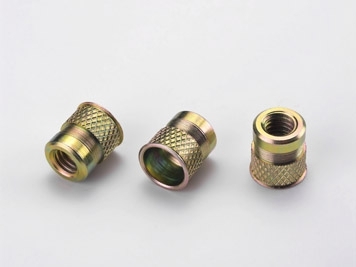 • 6-32 to 3/8-16 and M4 to M10 thread sizes are available. • See page 30 for dimensional data and part numbering.